Food comes and goes so quickly at Starbucks! I found this old flyer recently. 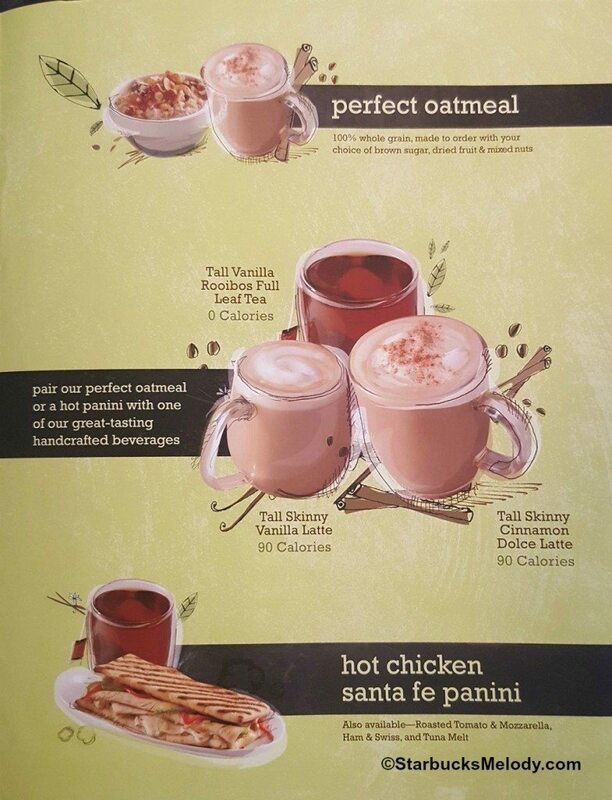 It was inside Starbucks stores in January 2010, coinciding with the introduction of the Chicken Santa Fe panini (and other paninis) and to promote the perfect oatmeal. The Chicken Santa Fe panini (now retired – I miss it!) was launched into the Starbucks food lineup January 12, 2010. (The little tiny $1 off card has a start date of January 12, 2010.) This date sounds 100% right for the start of the new panini and beverages at that time. 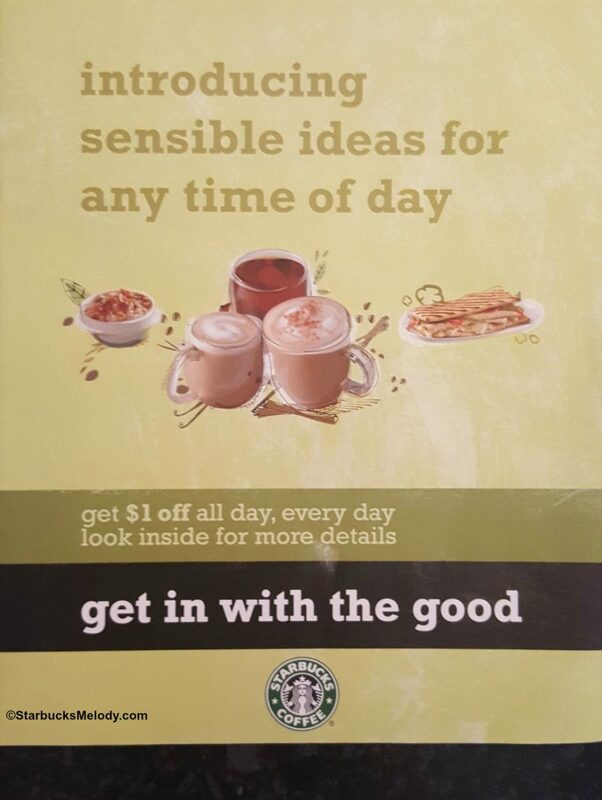 Promo launches are usually on Tuesdays at Starbucks. Often they are the second Tuesday of the month. Indeed, January 12, 2010, was the second Tuesday of the month. (Occasionally it’s the first Thursday). The then-new Chicken Santa Fe panini was featured in this 2010 official Starbucks blog article here. 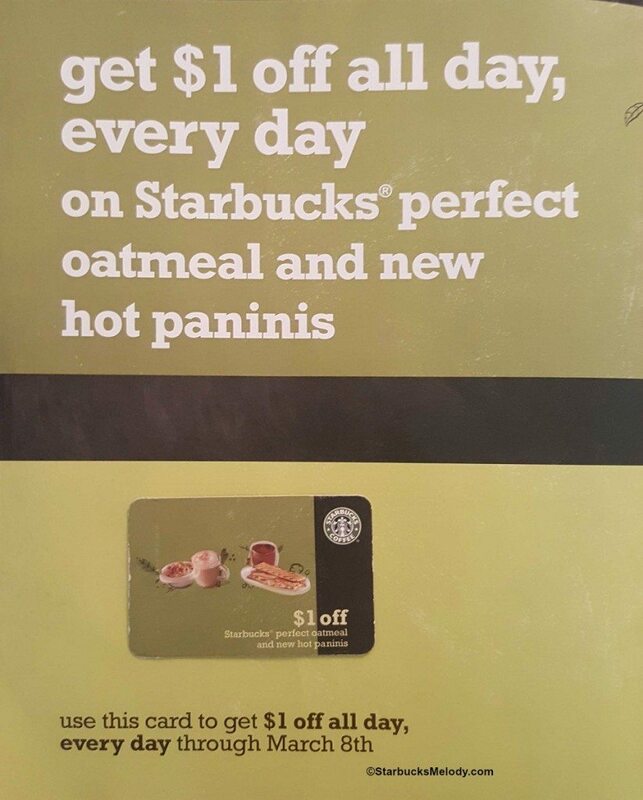 The Starbucks Perfect Oatmeal official was launched September 2008. Consumerist had an early taste of it here. The official Starbucks blog post for the beverages in the above flyer is here. Look at the old rewards on the back page! 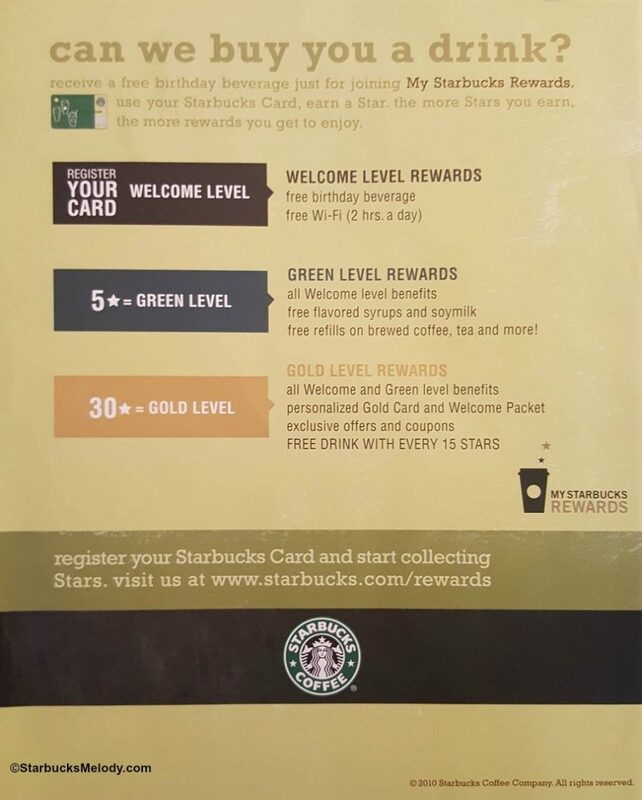 That old rewards scheme (introduced March 2008) hasn’t been around for years. Hope you enjoyed your #ThrowbackThursday! @Tex – I just don’t have a lot to say about the link. The idea that there would be further stratification of the Reserve brand has been in the works. The writing has been on the wall for like at least a year. At one point, eons ago, Howard Schultz talked about opening premium Reserve stores. In order to keep small lot coffee truly ‘small lot’ there’s an upward limit of how many stores you can source it to. I remember thinking about this several years ago – it’s a farm product. One crop can only go so far and so getting ‘small lot’ coffee to 1500 stores has been something else. As it is now, Starbucks is starting to send some of the Reserve coffees only to their most highest performing Reserve stores. The real question is how much can you scale what? That’s what Starbucks struggles with time and time again. I question how many Roasteries there can effectively be! Since you’re an insider (in many ways) I wanted to ask, does the company ever take Reserve away from an underperforming store and redeploy the Clover and the Reserve beans to another store in the area? Reason I ask, the nearest Reserve store to me is 12 miles away, so I only go there if I happen to be in the area. When I visit, I have only seen the Clover machine used when I ordered a coffee. I have yet to see any another customer order a Reserve brew, nor have I see any customer buy bagged Reserve beans. I see the same bags of coffee sitting unsold for weeks (no wonder they so rarely get new stock come in). The regulars at that store consist mostly of high school kids having “dessert in a cup” (or what I call them, upscale Dairy Queen products). Seems a waste, or a sign of very poor market research, to install a $10,000 Clover there, and I said as much in my Yelp review of that store. The partners and manager love to chat me up because I must be the only customer they have that actually cares about COFFEE (what a concept). They could probably do away with the Mastrena espresso machines and just sell nothing but Frapps and iced Teavana and they’d do fine.